When it comes to hosting eCommerce sites, picking the right platform to power your store is essential. If you don’t do your research, you might find out too late that you don’t have access to the features you need. In turn, that can hamper your store’s growth and cost you money. The good news is that we’re here to introduce you to two of the top options: Magento and Shopify. By the end, you’ll know how to pick which of these two platforms is the best option for you. First, however, let’s get familiar with Magento vs Shopify! Most eCommerce platforms fall into one of two types: hosted and self-hosted software. With hosted solutions, you don’t need to worry about procuring a server or setting up the software, since that’s all taken care of for you. Self-hosted platforms, on the other hand, do require you to find a hosting provider and install the software you want to use. That means a bit more legwork on your end, but the trade-off is that this kind of platform tends to be far more flexible. As you might gather from those brief descriptions, Magento and Shopify are two very different platforms. That means you need to know exactly what each of them offers, if you want to figure out which is a better fit for your store. Let’s talk Magento vs Shopify! If this your first eCommerce site, then you’re probably looking for a platform that won’t take a year to learn. 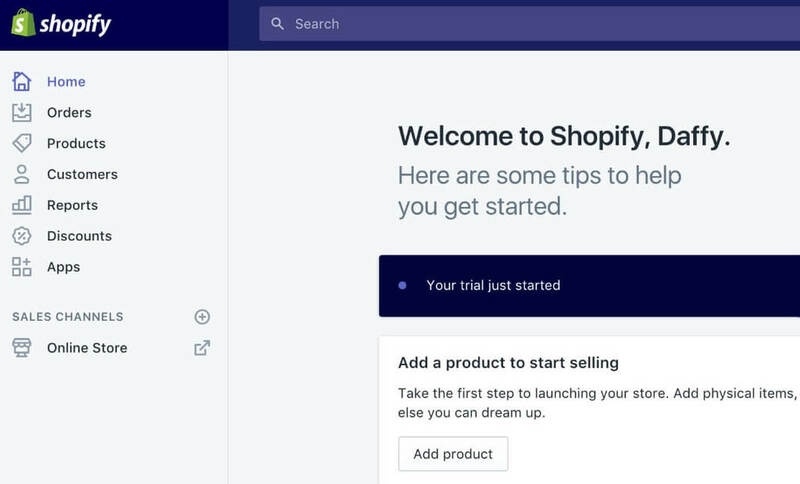 Shopify, for example, offers a remarkably simple experience from the moment you set up your account to the point when you publish your first product. Overall, setting up a Shopify store couldn’t be easier. Adding all the products you need and tweaking its style can take a while, but that’s hard to avoid when you’re creating a store from scratch. If you like having options to customize your products, you’re going to love Magento. Its product editor is world-class, although it packs so many options that you’ll need a while to get acquainted with all of them. Overall, when it comes to ease of use, there’s really no competition between Magento vs Shopify. The latter wins hands down, since it’s far easier for a beginner to pick up and set up a new store with. That’s not to say that Magento is an inferior option, of course, but it does feature a steeper learning curve. Next up, let’s talk about site management. 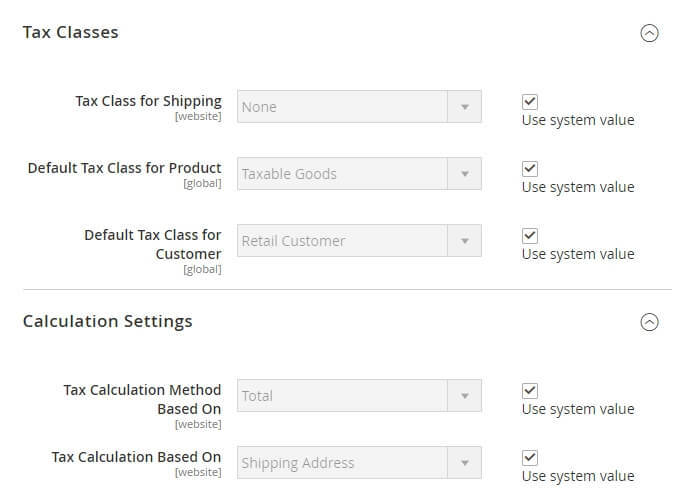 We’re going to evaluate the options each platform gives you to customize your store’s settings. 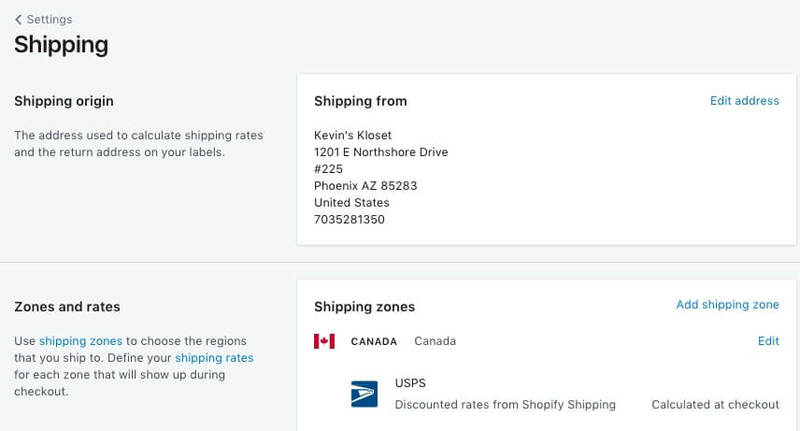 Keep in mind that Shopify charges a fee for processing payments, so take that into consideration when determining your budget. Overall, Shopify does a great job of making the process of handling your store simple and clear. 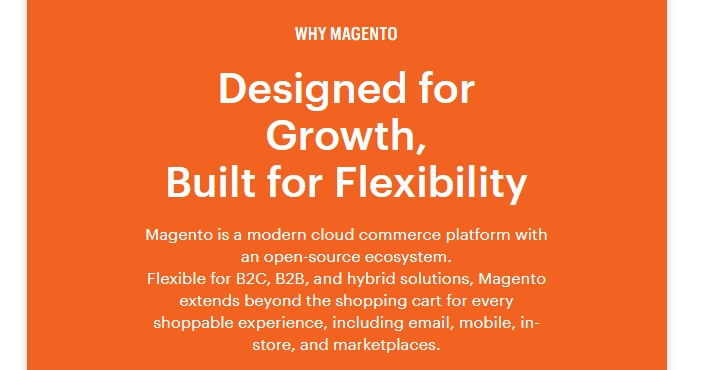 By default, Magento enables you to use PayPal and Braintree, although it also supports bank transfers, purchase orders, and more. Plus, you can integrate other processors with your store by using extensions. Overall, Magento offers a lot more store management options for you to work with. Configuring your store will take you longer with this platform, but the payoff is far better control over how your site works. That’s why we’re awarding this round of Magento vs Shopify to the former platform. When you’re running any type of website, performance is critical to its success. If your pages take too long to load, people will usually get bored and look elsewhere. However, when it comes to eCommerce, speed becomes even more crucial, since you might end up missing out on potential sales. With Shopify, performance isn’t something you have to worry about (for the most part). Since you’re using a hosted platform, it takes care of optimizing the servers your store is running on for you and making sure your site always loads fast. Keep in mind, however, that some Shopify themes are better from a performance standpoint than others. Likewise, adding too many apps to your store may impact its performance. To put it another way, you’ll still want to monitor your store’s loading times, even if you’re using a hosted platform such as Shopify. Self-hosted platforms are a completely different story. Magento, in particular, is famous for its ‘scalability’. That means it’s a great option for both small and large stores, thanks to the software’s excellent performance. In practice, of course, your individual store’s performance will depend a lot on its server. That means you need to choose a web host that takes optimization seriously, and will enable you to scale your plan accordingly when needed. Overall, Magento offers you a lot more optimization options than Shopify does. With that in mind, we’re going to award Magento with this round of Magento vs Shopify. When running an online store, security is incredibly important. If there are vulnerabilities in your store, attackers might attempt to use them to get access to your customers’ information, which is something you’ll want to avoid (to put it mildly). Shopify enables you to take a hands-off approach when it comes to security. That is to say, it takes care of protecting your website against attacks, which is another advantage of using a hosted platform. As far as security goes, Shopify has a pretty solid track record. The platform still hasn’t suffered any major breaches, and it runs a very active bounty program that rewards individuals for finding vulnerabilities. Magento, on the other hand, requires you to take a more hands-on approach when it comes to security. Just as with performance, the web host you pick will play a major role when it comes to keeping your website safe since, since it will be your first line of defense (rather than the platform itself). Likewise, there are a lot of extensions you can add to Magento to secure your store even further. Finally, Magento takes safety a step further by offering dedicated security patches on a regular schedule. The developers behind the platform are very dedicated to keeping its users safe. For these reasons, we’re awarding this round of Magento vs Shopify to the former platform again. Last but not least, let’s talk about the options each of these two platforms gives you to customize your store and make it unique. After all, you don’t want to set up a store that looks like it came off an assembly line. 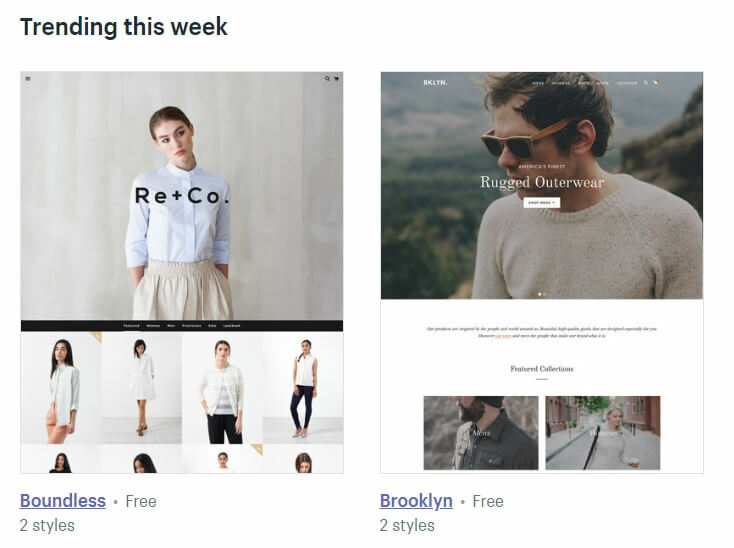 With Shopify, you have three tools at your disposal to personalize your store. Those are themes, apps, and the platform’s drag-and-drop builder. As far as themes go, we’ve already mentioned that you get access to dozens of options. In our experience, most of them look compelling, so that’s a good start. Likewise, there are a lot of apps you can add to your store to increase its functionality. Plenty of them are free, but some are of the best are premium. You’ll want to keep that in mind if there’s a particular feature you need to add to your website. In practice, however, what you can do with the builder is somewhat limited. You can use it to put together a stylish store, but it won’t enable you to set up the next Amazon (although that’s a tall order for any platform!). 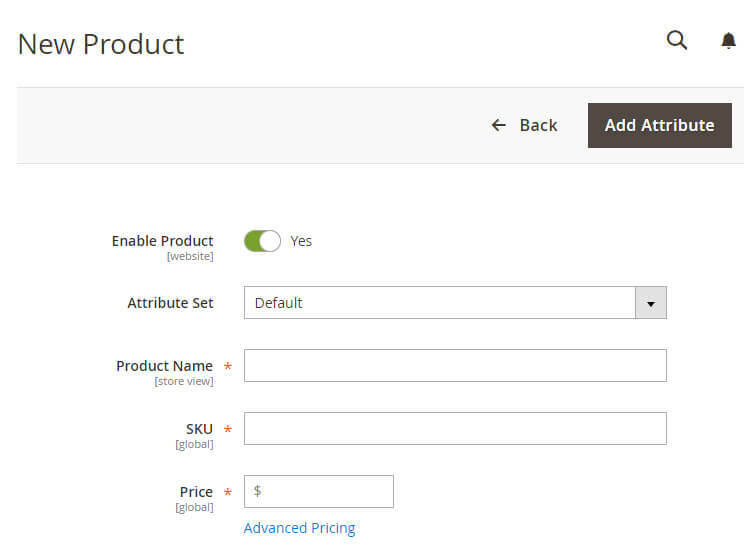 With Magento, you get a lot of the same features. For example, you can find a broad selection of themes, although in most cases you’ll want to create a custom template instead. This can take a lot of work, but your store will look exactly as you want it to as a result. Just as with Shopify, however, a lot of Magento extensions aren’t free. What’s more, the premium options tend to be rather expensive. Ultimately, though, Magento comes out on top as the most customizable platform, due to the sheer number of extensions it offers. Plus, the ability to create custom templates gives you a lot of freedom, even if it’s a more advanced feature. This final round of Magento vs Shopify goes to Magento. Picking up the platform is remarkably simple. You can have a store up and running in a matter of minutes. You don’t need to worry about hosting or security. Customizing your store’s style is easy, as is configuring its settings. 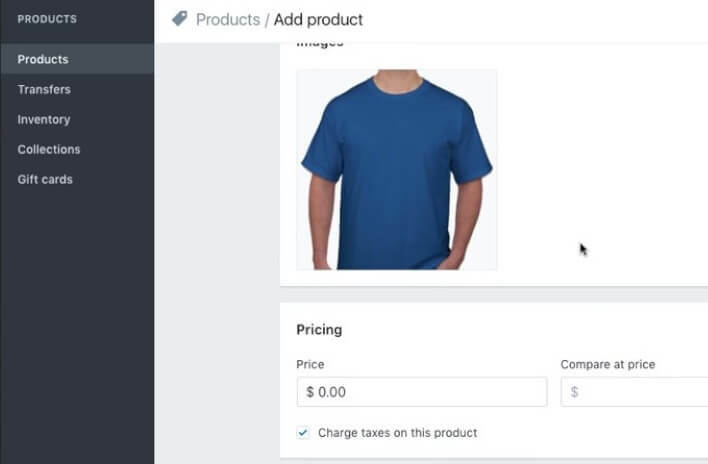 If you’re looking for the perfect platform to create a simple online store with, Shopify should be right up your alley. The only downside to the platform is that it doesn’t offer as many customization options as some of its competitors do. However, that’s a recurring factor among hosted platforms in general. A massive number of options to customize your store with. Flexibility when it comes to setting up your store and configuring its security settings. A powerful product editor with hundreds of options. Access to a broad collection of extensions you can use to extend your store’s functionality. As far as we’re concerned, Magento comes out on top if you pit it directly against Shopify. However, what’s most important is to pick whichever platform you feel more comfortable with. When it comes to eCommerce, you need every edge you can get. Choosing the right platform from the get-go can take you pretty far. When it comes to Magento vs Shopify, the latter can be a good option for setting up a simple, small store. However, for most users, Magento is by far the more powerful and customizable platform. What do you think about Magento vs Shopify? Share your thoughts with us in the comments section below!